-Lag-Free Wireless Audio: Continuous frequency-hopping technology prevents all lag for PC, PlayStation 4, VR, and Mac. 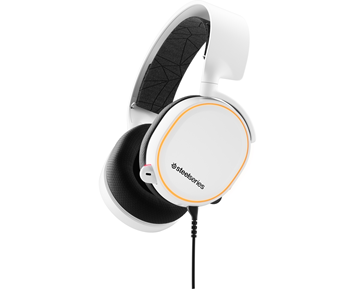 -ClearCast Mic: Arctis’ microphone uses a proprietary bidirectional design delivering unmatched sound clarity and background noise cancellation. 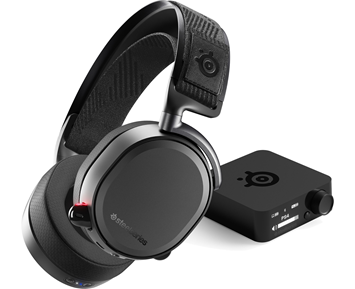 -DTS Headphone:X 7.1 Surround Sound: Enjoy a premium 3D audio experience on PC, stereo audio on Mac, PS4, XBox ONE, VR, and mobile. -Lightweight Design: Constructed to be so light that you will forget you’re wearing them. 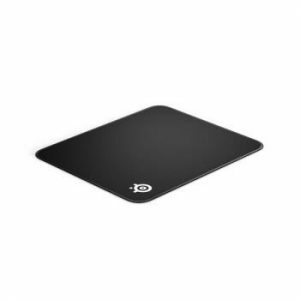 -Continuous frequency-hopping technology prevents all lag for PC, PlayStation 4, VR, and Mac. -Arctis perfectly contours to your head while evenly distributing the weight of the headset across the entire Ski Goggle band. -The ClearCast microphone uses a proprietary bidirectional design delivering unmatched sound clarity and background noise cancellation. -Enjoy a premium 3D audio experience with DTS Headphone:X 7.1 Surround on PC, stereo audio on Mac, PS4, XBox ONE, VR, and mobile. -On-Ear ChatMix Dial lets you balance and adjust the volume between your game and chat audio directly from your headset. -Stay cool, dry, and comfy with exclusive AirWeave performance-fabric ear cushions. -No more alt-tabbing, easily control your volume and mute directly on your headset. -Switch between two audio sources by simply turning the headset on or off, without ever swapping cables. 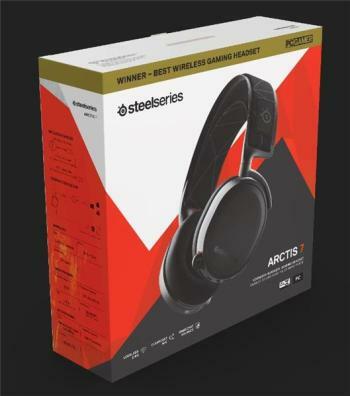 -Engine 3 lets your create and personalize every aspect of your Arctis, from audio profiles to surround sound settings. -Engineered to be 100% multi-platform and mobile-ready. -S1 Audio Drivers are designed to deliver the most balanced soundscape with excellent clarity. -When traveling between tournaments or LANs, simply retract the mic into the earcup to keep it safe.? -Don’t be thrown off balance, the onboard sound card ensures a consistent soundscape across all systems. -Constructed to be so lightweight, you’ll forget you’re wearing them. 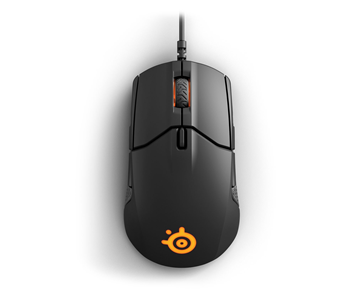 -The long-lasting rechargeable battery lets you stay wireless for over 15 hours of continuous use. -Sharing is caring, let your friends connect to the share jack and join in on the action.